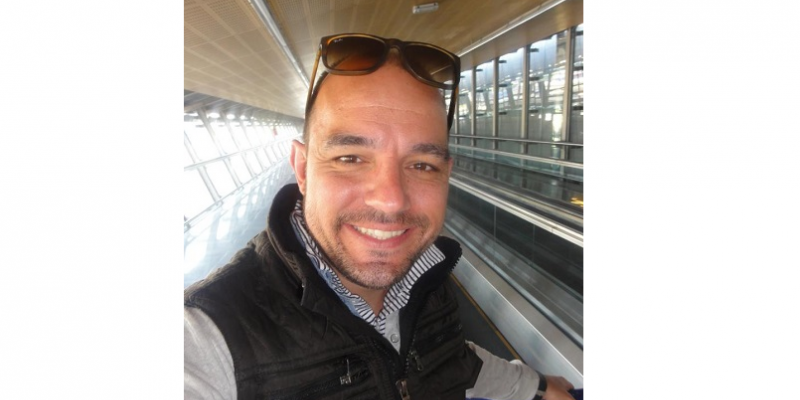 Meet Jason - partner at Rocabella Villas, near El Chorro in Southern Spain. Jason Ricks part-owns of a collection of 6 large villas an hour's drive north from Malaga airport in Southern Spain, near the famous rock-climbing hotspot of El Chorro. Perfect for those who want some fresh mountain air and enjoy the great outdoors. We caught up with him to have a chat about why he loves the area. Hi Jason, tell us a bit about the properties and their location. Just 1 hour drive north of Malaga airport in Southern Spain, hidden within the spectacular green slopes of the Sierra Huma mountains, lies Rocabella Villas. The perfect self-catering holiday for those looking to escape city life and the crowded coasts. 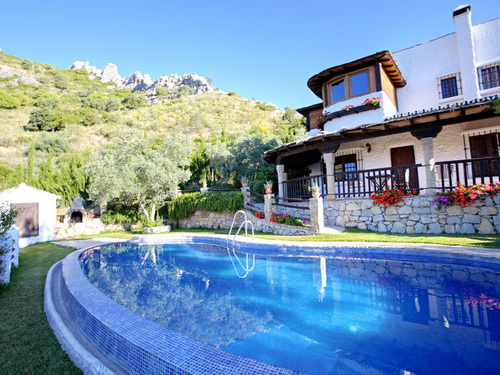 Family owned and lovingly integrated into the surrounding countryside, our accommodation includes seven villas and one apartment, all with private pools, dining terrace, garden and views of the famous Guadalhorce valley. Offering guests total seclusion and privacy, each of our rustic villas has a far better location and viewpoint than any other accommodation in the area - of course I'm bias, but it's true! Each property offers something different, from one bed to four bed accommodation, with homely features such as TV and WIFI as standard, private pool, BBQ and outside dining space. Immediately feel home-from-home with a fully equipped kitchen and comfortable open plan living space in your own self-catering villa. Eat as and when you like at your holiday villa or feel free to indulge in local cuisine at restaurant Rocabella. Rocabella Villas is just moments from El Chorro, a world-class rock climbing destination, with thousands of routes to suit all climbers throughout the year - especially autumn through spring when the mild, dry weather is perfect for climbing in Spain. As well as rock climbing and trekking in the surrounding mountainside, guests also have hiking, horse riding, mountain biking, kayaking and paragliding close to home. The area is rich in history and heritage; for those wanting to explore on foot you have the ancient ruins of Bobastro, the Gorge of Gaitanes and the fertile and very beautiful Guadalhorce valley. The views and landscape in this part of Andalucia are simply stunning. Alongside the abundance of nature to enjoy, there is plenty of outdoor activity to keep both children and adults happy as Rocabella is perfectly located at the foothill of the Sierra Huma mountain. Sounds like bliss! Why do you love the area? I love the fact that outdoor adventure is on your doorstep. 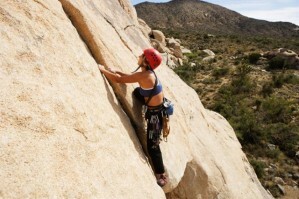 There's a huge range of activities such as climbing , horse riding and mountain biking. Families looking to escape and relax, young groups looking for sport and adventure in the local area, nature and wildlife enthusiasts, and those looking to escape the crowded coast for some peace and quiet. All of our villas are freshly prepared with clean towels and linen on the day of arrival, as well as checks being made on the pool to ensure its clean. In addition, we prepare a welcome hamper for all our guests that includes fresh fruit, water, local jams, cheese and bread. It's a friendly and warm welcome, especially for those arriving late or too rushed to do the food shopping upon arrival. Finally, give us a recommendation - what's your favourite thing to do in the area? My recommendation would be to brave the soon to re-open Camino del Rey, once dubbed the “worlds scariest footpath”. Built at the start of the 20th century as a commercial access route, the walkway was later used by King Alfonso XIII in 1921 to inaugurate the Guadalhorce dam. Over the years, the crumbling state of the walkway, combined with the spectacular canyon scenery has attracted thrill seekers and adventure climbers from around the world. Set to re-open early 2015, the walkway has now been transformed into a safer, family-friendly attraction, where visitors can still enjoy the spectacular scenery. The start of the pathway is just a few minutes from our villas. From February 2015, our guests can also arrange tickets for the tour whilst booking their villa.